I am so excited and nervous to be writing this post. Over the moon with a stomach full of butterflied excited! I’ve been busy working on a project that finally starting taking real shape last weekend. It’s been killing me, not saying anything, but I wanted to wait until everything was in place before I spilled the beans. And you know what? Everything is ready!!! 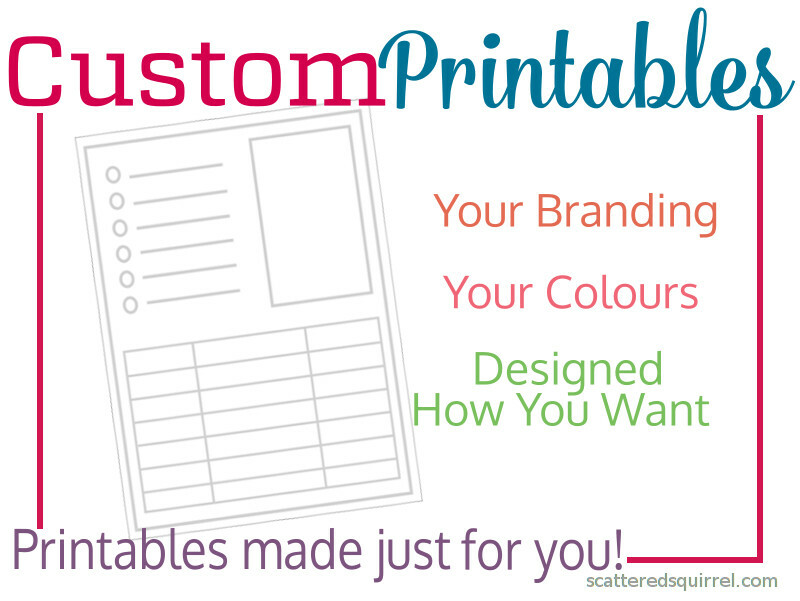 So it’s time to let you all in on the secret – I’m happy to announce that I am now offering Customized and Custom Designed Printables! Back when I chose the word ‘adventure’ for my word of the year, I had NO idea that this was going to be one of them. The seed for the idea was planted a while ago, but it was kind of scary and intimidating, and I sort of shoved it into the back of mind where it could wait until the right time. As with most things in life, there is never a right time. This month I decided that it was time to stop waiting and start doing. With the summer months approaching, it’s the perfect time to launch something like this. I have two whole months where our schedules are lighter to get my bearings. As you know, I love making printables. 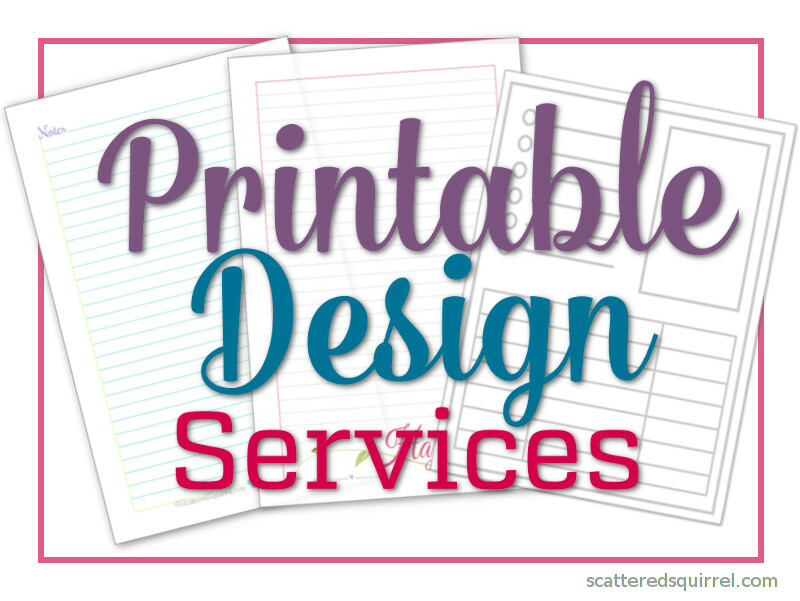 Right now there are over 200 printables that are currently offered freely here on Scattered Squirrel. That’s a ton of printables and I keep adding to them as new ideas pop into my head or when you send in a request for something new. Now, I’m adding on a new layer to those one with my Customized Printables. You find a printable here on Scattered Squirrel, and you really like it but…. the colours aren’t you! Or maybe you’d like it better if the titles were changed or a few tweaks were made to better fit your needs. Or you’re thinking you want to make a planner for a friend for a birthday or holiday (my Dad did this for my Mom this year and she LOVED her planner) and you’d like to have something personalized to suit them. 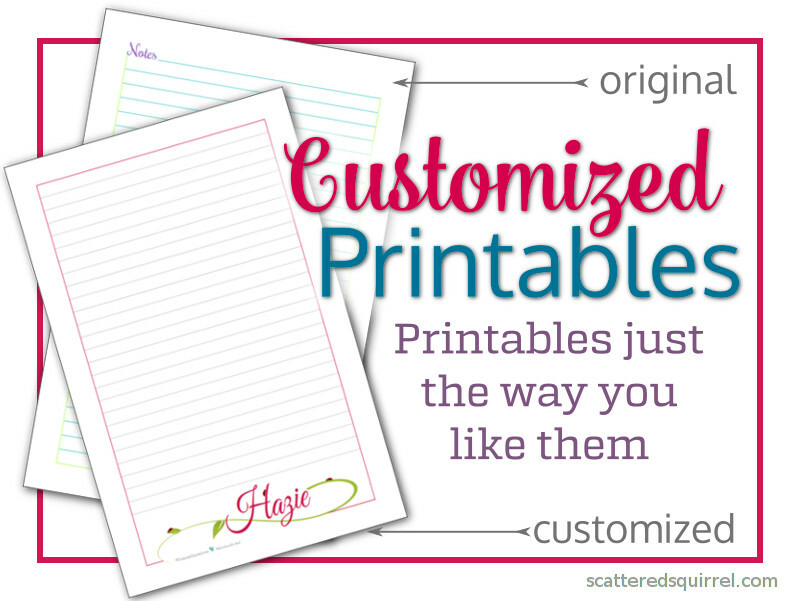 I won’t bore you with all the details now, but if you’d like to know more, and find out how it works – hop on over to the Customize Printables Page and check it out. This part of my new adventure is for those looking for something designed completely for them. A product they can take away with them and do what they want with it. Bloggers, business owners, consultants…. anyone who is looking for something tailor to match their brand and meet their needs. It’s a total, from the ground up printable design service. At the end of this process, you’re left with a printable that is all your own. use them to organize your own business. For example, a friend of mine asked me to make her a few printables that she could use to make an appointment book and customer files for her dog grooming business. She wanted space for specific information for each appointment slot in her appointment book, and she wanted something that would allow her to have important information about each client at her finger tips. So I worked with her to come up with something that fit what she wanted. What About the Free Printables? This my friends, is the project I’ve been working on for the last little while. Fine tuning the details, creating the pages, and getting everything all set up has been an adventure all its own. I don’t where this new adventure is going to lead me, but I do know that the free printables, the blog posts, and the reader requests will continue. I love being here, chatting with you, sharing with you, and making printables for you. This new service is just an extension of that. Inquiring minds want to know – what do you think? Previous Post: « I’m Not Planning Summer – You Can’t Make Me! Thanks Havok! 🙂 That means so much, it’s been a crazy and exciting week, I’m happy the hard part is over and the fun part can begin. WOOHOOOO I am so EXCITED for you!!! 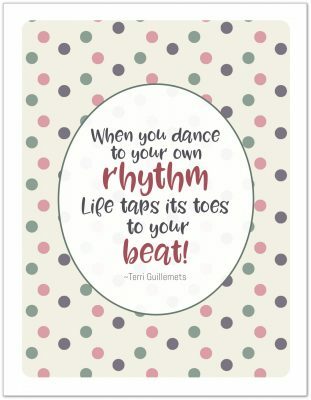 Your printables are amazing and the fact that the rest of us rather much less talented folks can now have you create something that’s trapped in our heads so we can use it in our business is just FABULOUS! Thanks Clare, that really means a lot to me. It’s been a pretty exciting week here, and I can’t wait to get started designing and customizing! Yay! What a wonderful service you are offering. 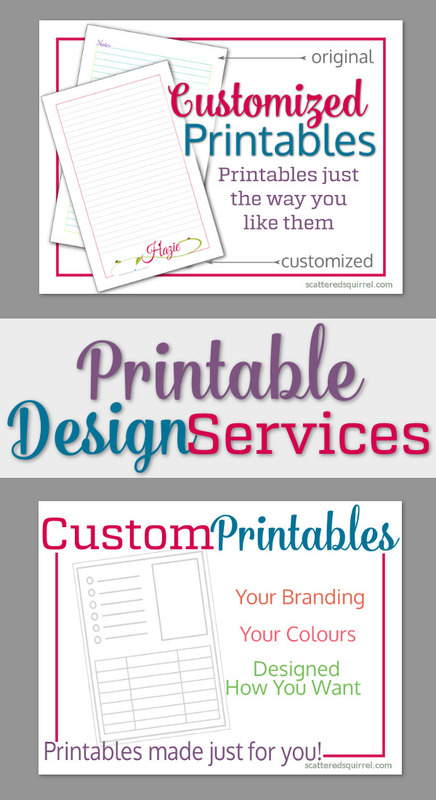 You make amazing printables and I love that I can get them tweaked a bit to personalize them. These would be just great for gifts! Thanks Sheila, I’m super exited to be offering this now. 🙂 They would make an awesome gift. How awesome for you! I’m excited for you and this new adventure! Can’t wait to see what new freebies you have in store for us as well. I love your creative style – thank you SO much for sharing things with us! Thanks so much Sharon. I’m so excited about being able to offer this option. New/updated planner printables are scheduled to be coming out later on this year, I can’t wait to share them with everyone.